Chocolate is made by crushing roasted cocoa beans into bits or nibs, to produce what is known as chocolate liquor. 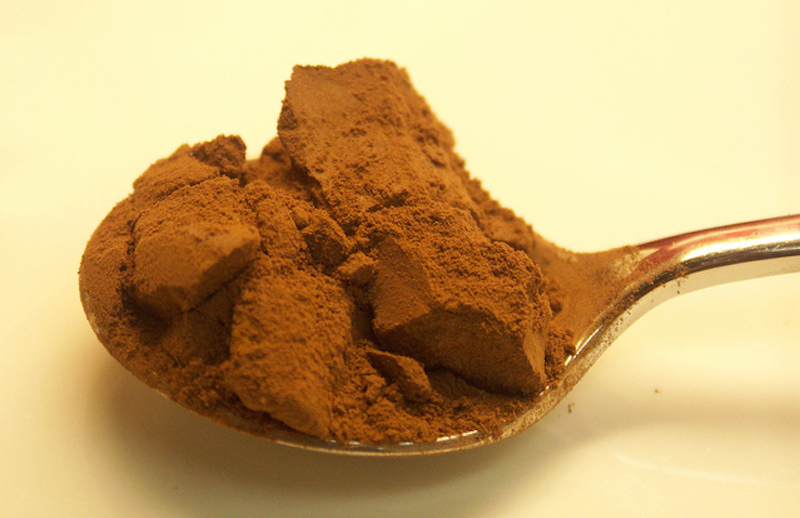 To make unsweetened cocoa powder, much of the cocoa butter (the fat of chocolate) is removed from the liquor and what remains is ground. Dutch processed cocoa, or alkalized cocoa, has a mild flavor and a rich, dark color due to the addition of potassium carbonate. Non-alkalized cocoa has a bolder taste and lighter color. Dutch processed cocoa reacts with the baking soda in devil’s food cake batter to give the cake its distinctive reddish brown color.